It’s been a busy week for Leonardo DiCaprio so far, with the launch of Animal Action Week and a whole bunch of political statements. Monday saw the star kick off the International Fund For Animal Welfare's (IFAW) Animal Action Week, one of the world’s largest environmental education programs. This year’s theme, “Beneath the Waves,” highlights the challenges the world faces to protect the ocean and marine wildlife from the impact of human activities and will reach six million young people in 18 countries. As part of the initiative, IFAW is encouraging teachers and children across the globe to engage with nature by offering a free education pack and 15-minute film about protecting wildlife in the oceans. The curriculum-based materials are available in two versions, one for elementary students (Grades 3-4) and one for middle school (Grades 5-9). 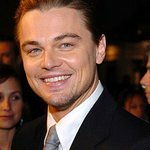 DiCaprio’s involvement follows his appearance at Barack Obama's fundraiser headlined by Barbra Streisand and Ben Harper in Beverly Hills on Tuesday. DiCaprio used the occasion to urge senators Obama and John McCain to push for increased use of wind power and solar energy – regardless of who wins the race to the White House next month – and pledge an end to America’s dependence on foreign oil. More information about Animal Action Week can be found at www.ifaw.org.